Guests enjoying the cocktail party prior to the main event. To be in the same room among the most distinquished television news legends and award-winning network anchors and documentarians was indeed an honor. 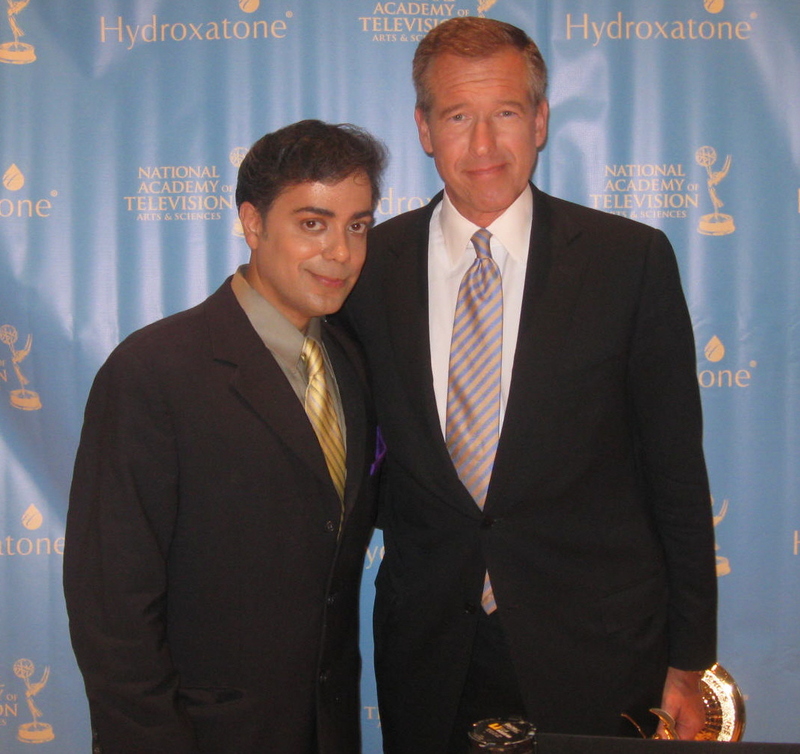 The Ravi Report recently attended the 31st Annual News & Documentary Emmy Awards held at the swanky Time Warner Center in Manhattan, NY. 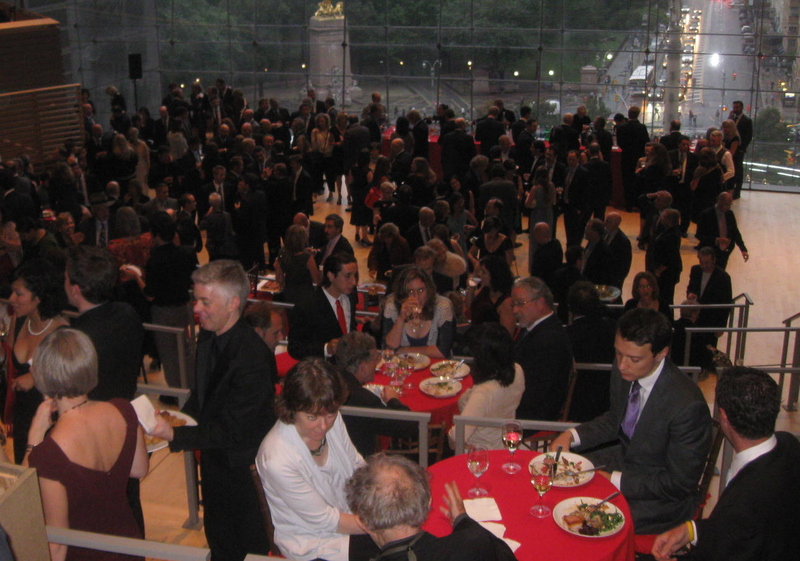 The annual function dedicated to honoring those in the world of news and documentaries included over 900 beautiful guests from television news, documentary filmmaking and entertainment news. It was one of the most talked about parties so far this year folks! This year’s recipient of the Lifetime Achievement Award went to the acclaimed Frederick Wiseman, one of the most prolific, distinguished and accomplished documentarians of all times. Some of Weisman’s memorable films include “Boxing Gym” (2010), “La Danse” (2009) and “The Garden” 2005). The man is a genius. 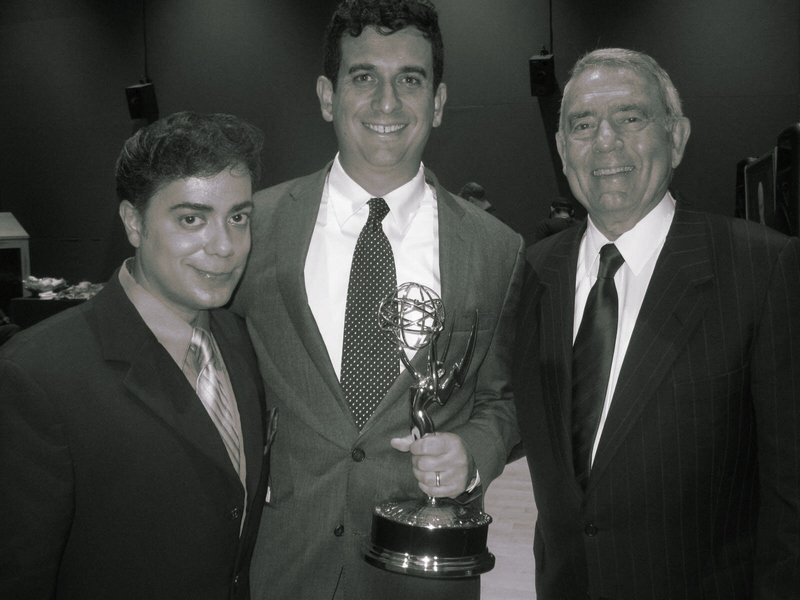 Ravi Yande posing with Emmy winning team Andrew Glazer and Dan Rather. 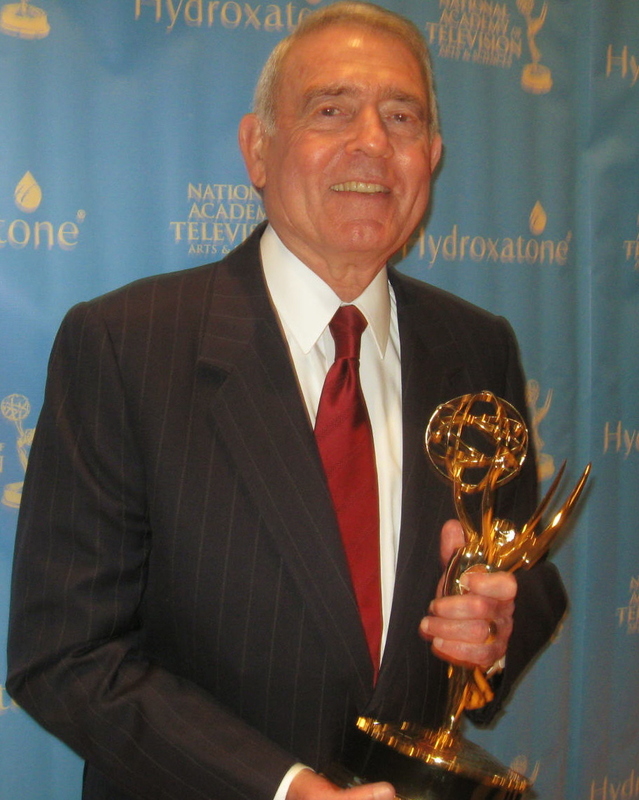 Iconic & accomplished broadcast news legend Dan Rather anchor & host of “Dan Rather Reports” for HDNet won an Emmy for his story entitled “Iran’s Manhattan Project”, an in dept look into the laundering of Iranian money through NY banks. He spoke exclusively to The Ravi Report about his win. RR: Mr. Rather, it is indeed an honor to be here with you and congratulations. Please share if you will some of your thoughts about your win. Rather: Thank you so much. I feel humbled and honored to be able to do this kind of work at my age and stage is pretty amazing. To be able to work with people like Andrew Glazer is pretty amazing. Rather went on to say said that the most surprising fact about the story was that he never knew that huge sums of Iranian money was illegally being laundered through London banks so Iranians can get NY dollars to buy supplies for their nuclear weapons and missiles programs. With the explosion of social media and with bloggers ( yours truly) becoming a resource for news, I asked the award-winning & renowned journalist what his thoughts were on the explosion of the media trend. RR: Mr. Rather, you’ve seen the journalism industry transform into what it is today- a fast and social media friendly world. What are your thoughts on the whole concept of social media? Rather: Social media plays a very big role now and I think it’s destined to play even a bigger role in the future. It compasses a lot more than journalism but journalism has become part of it. Anyone who is not thinking of social media today is to far behind the times. The ever so ravishing Paula Zahn, the host of “On The Case With Paula Zahn” on the Investigation Discovery Network was one of the presenters for the event and spoke about how social media has really become an intricate part of citizen journalism. RR: Paula, you look simply amazing tonight. With so many elements to social media today like blogging, twitter, etc, where do you see it playing a role in future journalism? Zahn- Thanks so much. Honestly, it’s completely changed in the way we do our business. When I was at CNN, it was considered pretty revolutionary for people to send us in pictures of what they saw. I certainly do welcome the input of audience members and always have but my biggest concern is the accuracy of it. Top anchors Ali Velshi & Paula Zahn grace the red carpet at the Emmys. 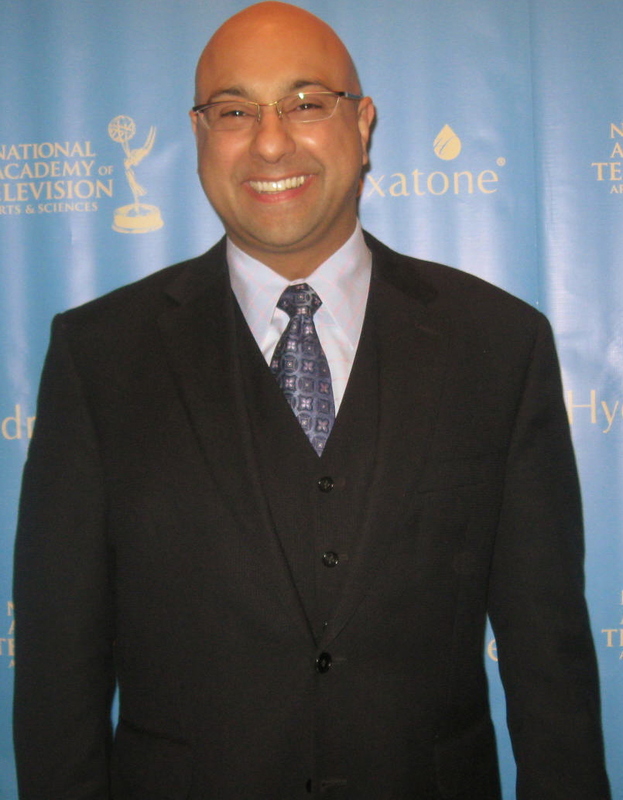 The Ravi Report also caught up with CNN’s financial guru & prevalent anchor Ali Velshi who has been an intricate part of the cable network’s success. RR: Ali, great to see you again. Terrific year for CNN! What’s the secret of their success? Velshi- Thanks. This indeed has been an interesting news year so far. When we are covering breaking news, when we are covering international events, disasters, etc, it’s where the DNA comes out. It’s where we don’t have to worry about the competition. RR: What was the most thought-provoking story you have done so far in 2010? Velshi: My story is the about the recession. It’s actually about the people whom I met. The one thing I do is report about the people but I also go out on the CNN Express and talk to my viewers. RR: Why that particular story? Velshi:The difficulties for me as someone who understands the world of business is that I did not fully understand how we got to where we did in this recession. Many of my viewers are out of work or losing their homes and THAT ultimately is what hurts me the most. What I do with my coverage is to design it around to show opportunities so they (viewers) can try to get back some of their wealth. 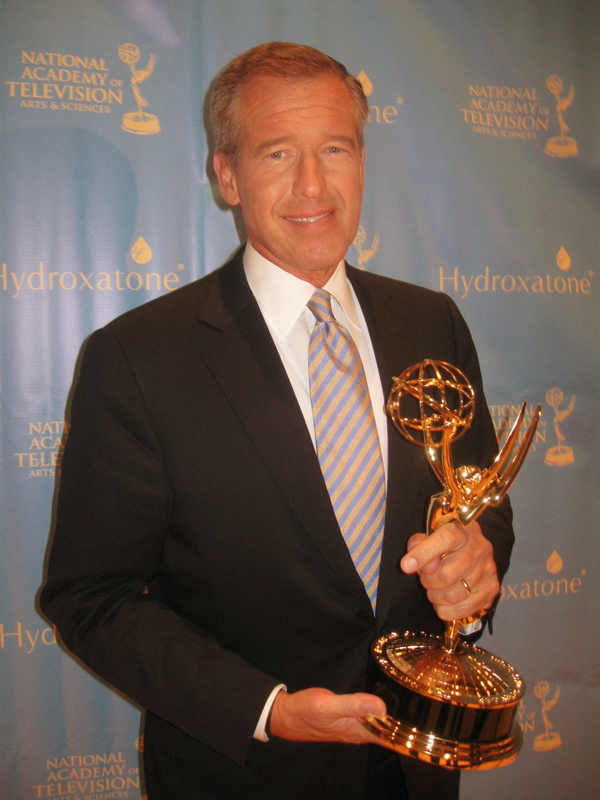 NBC award-winning anchor Brian Williams accepted the Emmy for his NBC broadcast news segment that won for coverage of “Miracle On The Hudson“, the incredible landing of US Airways flight 1549 on the NY Hudson River in the middle of the 2009 winter. Pilot Chelsey B. Sullenger, fondly known as “Sully”, became a national hero. RR: Congrats Brian. It’s one of those stories that no one expected to have a miracle ending. What were your thoughts when you first heard about the incident? Williams: Thank you. I was out in NJ listening to a fire scanner as I always have to see what was going in Manhattan. When I heard about the plane, all I knew is that I needed to get to the studio. I didn’t know what we had there. Because whatever it was, a story about an aircraft in the Hudson could not end well in all likelyhood..but it DID”. RR: The story flooded the social media world for days. Have you become part of it (social media) yet? Williams: I have an account on Twitter and I think I have 4K followers and haven’t said a peep. I am waiting. It has to be thought out. I’ll get there. I am taking my time. RR: With the explosion of social media, what direction do you think it’s going to take in future mainstream news? Williams: It is media. Someday we will drop the mainstream part and we will drop the social part and it will all be known as media. The Emmy for Best Documentary went to “War Dance”. The story focuses on three kids abducted by war rebels living in Northern Uganda who take part in a music competition. The eminent director of the film, Sean Fine who lived in the war zone for three months (and caught malaria while filming) says that the film was extremely well received and all the immense struggles were well worth it. FINE: We were shocked and appalled to see over 60K children being abducted by rebel forces,” stated the filmmaker to The Ravi Report. The Emmy winner has also become the guardian of one of the children from the story. “War Dance” has won numerous awards including being nominated for an Academy Award and for winning the Sundance Directing Award Documentary. Fine is also planning on building a music and art center there for the kids. For more info on the film or how you can help the kids, check out www.wardancethemovie.com and www.thepatangofund.org. The film will be seen in November on the Documentary Channel (www.documentarychannel.com). The event also included special guests and celebrated actors including “Lethal Weapon” star Danny Glover. The award-winning Hollywood actor is one of several celebrities currently lobbying to legalize cannabis in the state of California. A special note of thanks goes to Daryl B. Cohen, Chairman of the National Academy of Television Arts & Sciences and to Paul Pilliteri for doing a great job and for accommodating the media with interviews and access.For a complete list of winners, go to www.emmyonline.org.